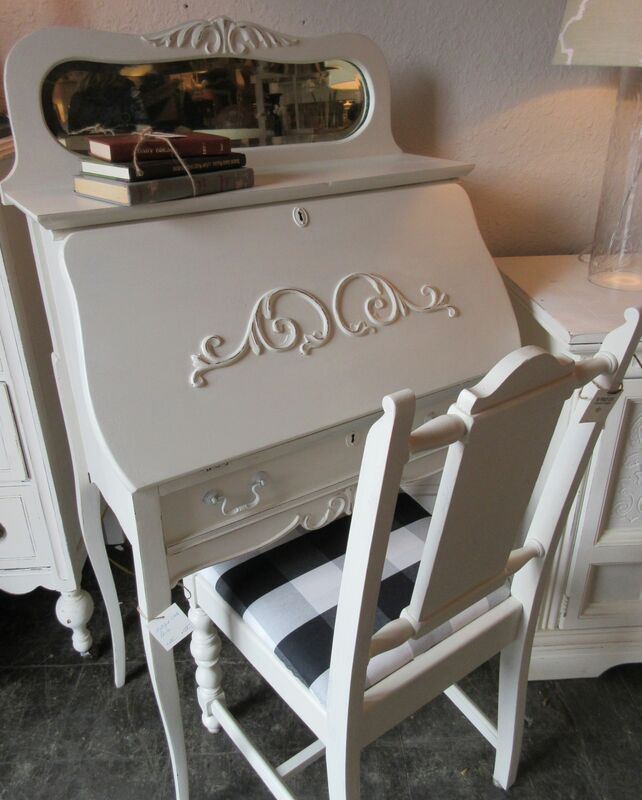 It’s no surprise to find furniture beautifully repainted in neutral colors at The French Flea in Anoka. It’s their signature look. But the carpet and dropped ceiling are gone, the cash desk has moved and the store feels fresher and almost new. 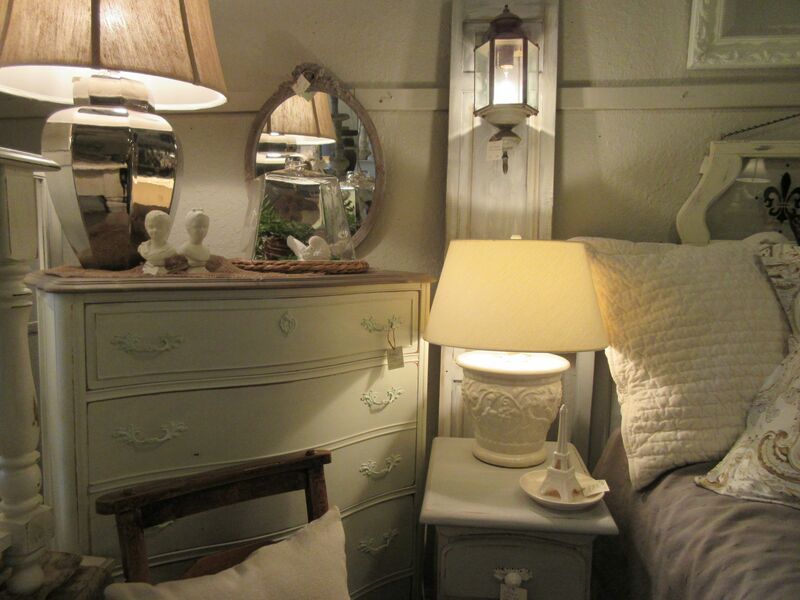 Touches of soft blue, some gold, and cozy lamplight add to the comfortable atmosphere. 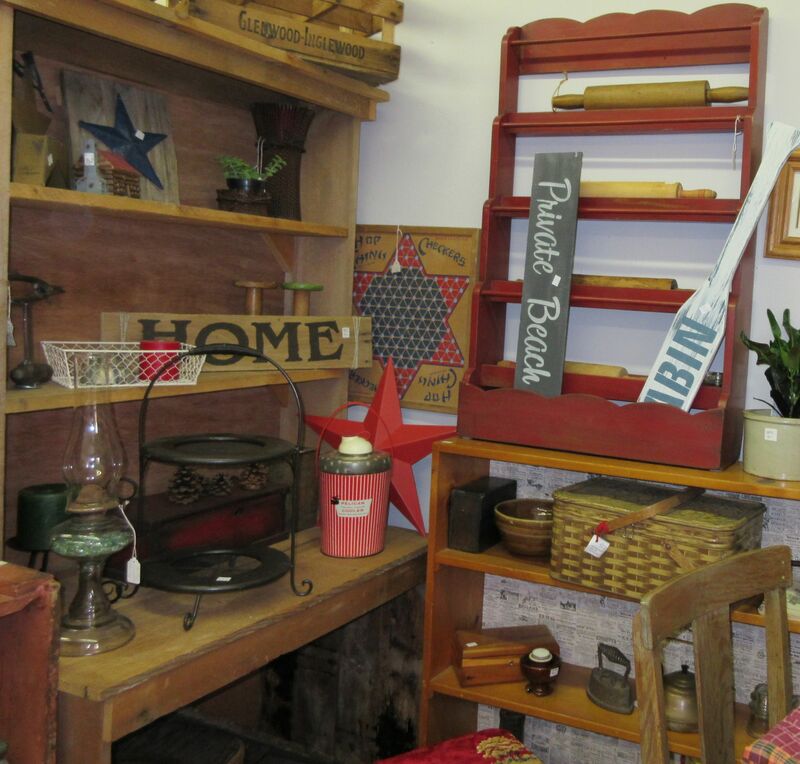 The Flea is open 10-6 Friday and Saturday and 12-4 Sunday at 211 East Main Street in historic downtown Anoka. Bigger surprises can be seen at The Alley in downtown Osseo at 218 Central Avenue. 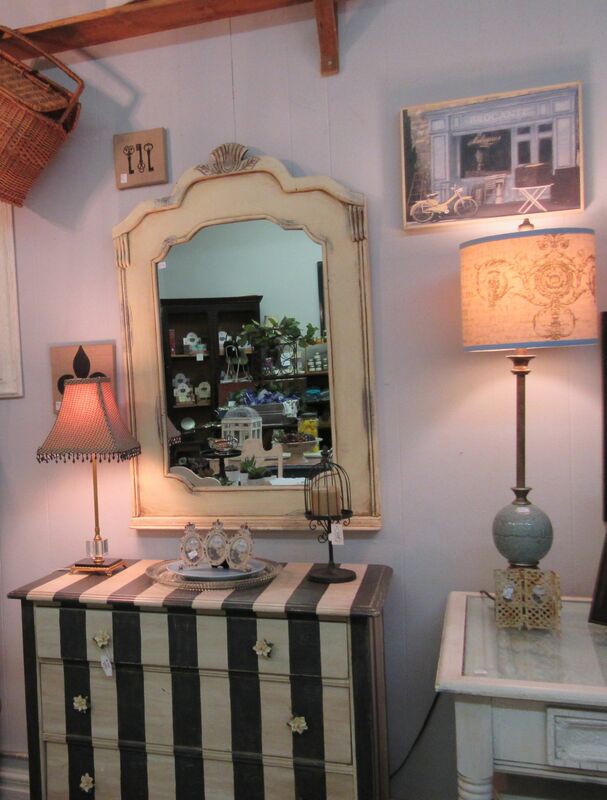 The store, formerly Antique Alley, has a new name and a new look. 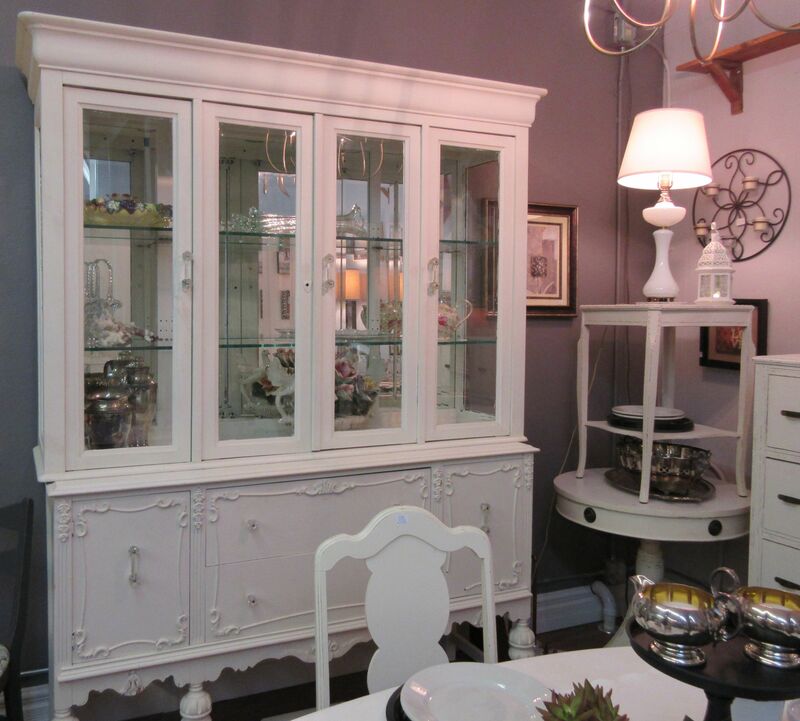 The walls are freshly painted in cream and soft eggplant to highlight the many white dressers, buffets, tables and chairs. Everything looks crisp, bright, and attractive. 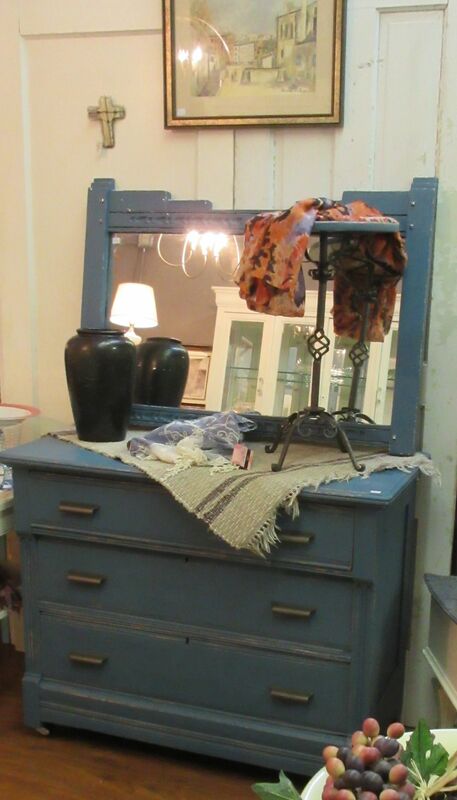 For those who like the warmth of antique wood stains, rest assured; you’ll still find some rustic and rusty pieces too. This weekend is the grand re-opening with prizes and refreshments on Friday and Saturday from 9 to 5 and on Sunday noon to 4. Happy saling! 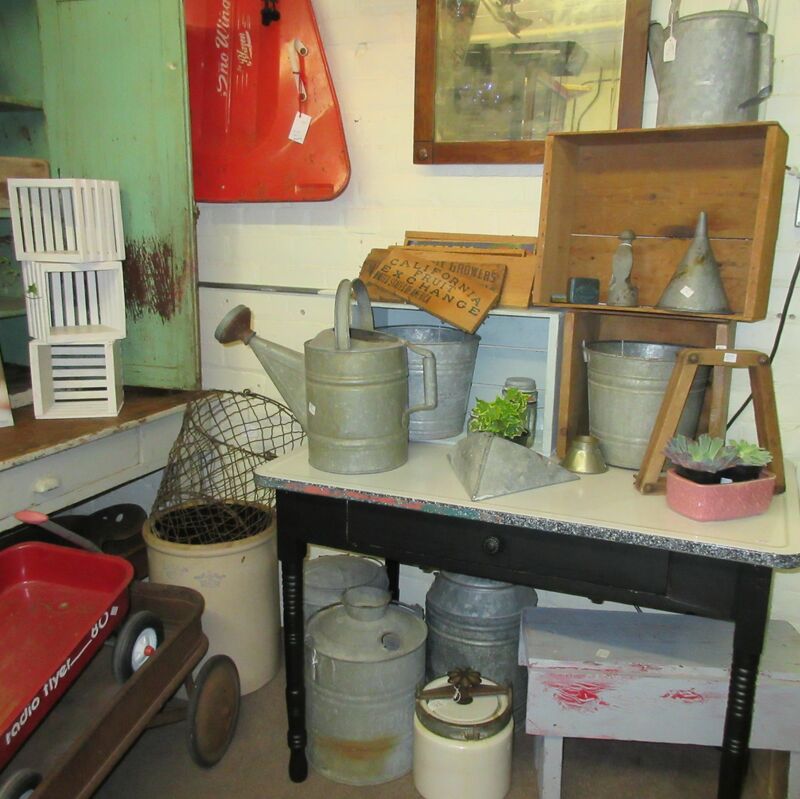 This entry was posted in Cool Find, Eye On..., Find of the Day/Spotlight feature, Occasional Sale Recap, Reporting from..., Shop Spotlight, Special Event, This Week's Sales, Top Picks, Weekly Highlights. Bookmark the permalink.